Costa Rica, like so many other countries, heavily regulates taxi services; this means that the government gives out a limited number of taxi certifications and licence plates and requires the use of a taxi meter. These requirements are designed to ensure a certain level of protection to consumers, as well as trying to limit the number of taxis in circulation to ensure that there is no excess of offer, and those licensed can expect to make a living. As is also the case in many other jurisdictions, there were never enough licences for those willing to transport people, so a new type of provider took to the streets: un-metered and unlicensed drivers willing to take people to their destination at a much cheaper price than the official services. Unsurprisingly, the government tried to stop these taxis piratas (pirate taxis), but as their numbers grew, so did their power. After crippling protests from the piratas which stopped traffic in the already crowded metropolitan streets, the government relented and gave some of them licences and protection, creating a new legal figure of porteador, a semi-regulated provider. Needless to say, even this was not enough and there is still an ongoing conflict between licensed taxis and the pirates. I was reminded of the Costa Rican taxi saga when I first heard of Uber, the controversial app that allows people to connect with drivers directly, cutting out taxi regulation and the middle man. The idea behind Uber is that technology allows for a more direct communication between transport providers (not taxi drivers mind you) and customers. The pesky need to regulate the transport of people is bypassed by modern telecommunication means. Uber is cool and glitzy, a cursory browse through their website shows young and attractive people getting in and out of cars, nothing as 20th Century as an ugly taxi. Yet, why does the whole thing keep reminding me of the pirate taxis in Costa Rica? The answer to that question may very well be in what Uber and the other services in the so-called sharing economy actually entail. We are witnessing a growing number of (allegedly) peer-to-peer services that are supposed to connect users directly with other members of the public that may want to provide the service. So Airbnb connects you with someone who has a spare bedroom and is willing to accommodate you for a cheaper price than going to a hotel. Lyft connects you to a driver that is going to the same place as you are. EatWith and MealSharing can connect you with a person who is willing to cook a meal for you. We already have services that perform all of those functions, namely taxis, buses, trains, hotels and restaurants. 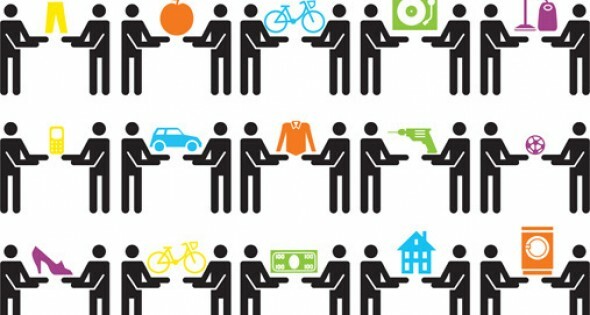 The disruptive element of the technology is that it allows us to connect to people just like us who have spare resources and are willing to share them with us (hence the term sharing economy). But when you take away the glitzy and exciting technological edge, what you have is something similar to pirate taxis. At heart these are people who do not want to be regulated for whatever reason, and can undercut and disrupt the regulated services. There are good reasons why we regulate hotels, restaurants and transport, so the real question in everyone’s mind is whether there is something inherently different about the sharing economy that makes it immune to regulation, or even that precludes the desirability for such control. If we bypass regulation, then it is possible that we allow exploitation and an erosion of the social justice achievements that we managed to gain in the last couple of centuries. If Uber drivers are not licensed and regulated, then there is growing evidence that they might be exploited. If you can sell a dinner without answering to any health authorities, then why bother with expensive controls? In the end, what many of these services are attempting to do is to provide cheaper services by working around regulation, and only time will tell if these are successful. But the real issue that I have at the moment with the P2P economy is that it is highly centralised, and that many of the current services are not really fulfilling the technology’s decentralised potential. In other words, the sharing economy is more Napster than P2P. Uber is a centralised service that accepts some drivers, and takes a cut out of each transaction. The same happens with Airbnb, which takes up to 12% off each booking. This is perfectly acceptable as these site operate as brokers between the parties, but this is not “sharing” in the normal sense of the word, it is selling a service in exchange for payment, a simple commercial transaction. Similarly, the fact that these sites exist as brokers means that there is little peer-to-peer communication going on, as the services would not exist without the intermediary. A true decentralised model would connect users and providers without an intermediary, probably by the existence of nodes and connectors, much in the way in which truly decentralised services operate. Couchsurfing is closer to the ideal sharing economy, where people offer a space for free, while BeWelcome is a true Airbnb alternative that is peer-to-peer and open, without nodes and using open source software. I find all of these services much more interesting than the headlines, because their disruption is not a libertarian ruse to bypass regulation, but it is a true sign of decentralisation and openness. Whatever happens, we are witnessing a fascinating regulatory experiment. Thank you Andres! This has been bothering me for a while. The way in which this is all seen as a wonderful new world but the profit is just made up by ignoring procedures enacted for consumer protection. Thanks Andres for this post, I do share with you the thoughts on the differences between these app-services. Nevertheless, I also believe that law needs to accomodate with such practices, connectivity is formatting our way of life and legal institutions tend to be too much phisically based. Despite the conceptual debate of what does sharing economy mean, I think app-services (especially for trade-like practices) are changing our way to relate with service-offerers and that should compel law to accommodate with the horizontal dynamics; maybe by allowing individuals to choose at the same time that we secure a rule of law structure not based in adjudication but in accountability? Excellent article, it would also be good to address the high commissions the so called “On line travel agencies” such as Expedia or Booking charge hotels, it is up to 25%! The hotel bears the burden of most of the work and expense. Sorry, the commission can even reach 35% or even more, the “discounts” they give are taken from the hotel’s share.